May the Eternal bless you and guard you. One of our Friday evening highlights during services is, without a question, the blessing of our children. 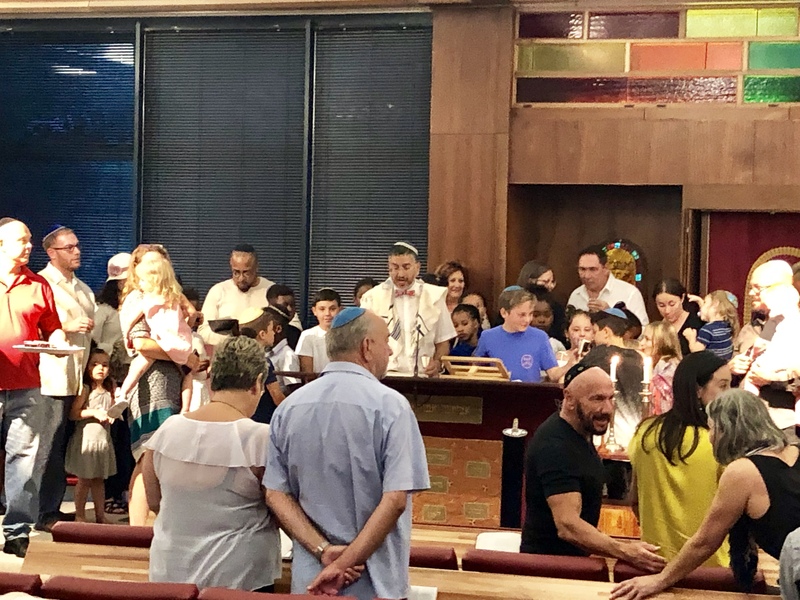 As you can see from the picture above, there are quite a lot of them joining Kani and Deborah each week for the Kids’ Club, and us for the kiddush in the Shul. To bless the children is not an exclusive honour for a rabbi of a shul, but for every parent, too. To share a blessing is a wonderful way to embrace the special bond parents have with their children. It is a short moment of “you time”. While our tradition offers some great words taken from the Torah, parents and children may take any words that come from their hearts. Sometimes a hug can be the best blessing in the world. May you be like Ephraim and Menashe. Y’simeich Elohim k’Sarah, Rivkah, Rachel, v’Leah. May you be like Sarah, Rebecca, Rachel, and Leah. יְשִׂימֵךְ אֱלהיִם כְּשָׂרָה רִבְקָה רָחֵל וְלֵאָה. Ya’er Adonai panav eilecha vichuneka. Yisa Adonai panav eilecha v’yasem l’cha shalom.